Four Rosmead is a classified monument that has been remodelled and is now a stylish boutique hotel offering accommodation for 16 guests. Set on the slopes of Table Mountain, Four Rosmead is within walking distance of Green Market Square and about 5 minutes drive from the V & A Waterfront, Kirstenbosch Gardens, Clifton and Camps Bay beaches. The accommodation is in 8 ensuite rooms - 1 suite, 4 deluxe rooms and 3 luxury rooms, all of which have air conditioning, undertile heating, bathrobes, hairdryer, minibar, tea and coffee making facilities, TV and DVD player. The hotel offers continental or full English breakfast. Outide there are attractive gardens, a patio and a swimming pool with sunbeds. There is also a Pamper Room where various treatments are offered to de-stress guests. There is off road parking for guests' cars. There are large reception areas and a patio with pool deck and herb garden, providing space to relax and unwind. Open: Four Rosmead is open all year. Location: The hotel is in the smart residential suburb of Oranjezicht, on the slopes of Table Mountain, within walking distance of Kloof Street and 10 minutes' drive of Table Mountain, Camps Bay, Bantry Bay, Kirstenbosch Gardens and the V&A Waterfront. Rooms: There are 3 luxury rooms, 4 deluxe rooms and 1 suite. All have an en-suite bathroom with a heated towel rail, hair dryer and bathrobes, air conditioning, underfloor heating, an electronic safe, tea and coffee maker, drinks fridge, supply of snacks, LCD TV, DVD player, free Wi-Fi and an iPod dock. Luxury rooms are on the ground floor and 2 have access to a private outdoor area. Deluxe rooms are slightly larger and are on the 1st floor with private balconies. The suite is in a separate building, has a bedroom with an open fire, lounge, private garden with a courtyard and an outdoor shower. Activities You are well placed for city sightseeing and shopping, visiting the beaches of Camps Bay and Clifton, and the cafes and restaurants of Kloof Street. Staff can help arrange day tours and assist with restaurant and theatre bookings. Facilities: There's a lounge with a collection of DVDs and honour bar, dining room where breakfast is served each morning, garden and heated swimming pool with a sunbathing area and loungers. The hotel has a spa. Much of the artwork (paintings and sculptures) is available to purchase, as a special souvenir. There is secure on-site parking. Dining: Breakfast, which includes hot and cold dishes, is served in the dining room, and you can have lunch at Liquorice and Lime nearby. The hotel has a list of take-away menus that can be delivered if you want to stay in for dinner, though there are several restaurants within a few minutes' walk of the hotel. Communication: There is free Wi-Fi internet access throughout the hotel. A city guest house which makes an effort in a number of areas, including employing previously disadvantaged local people as managers. "This was a very well run establishment, with great service. The breakfasts were excellent, with fresh passion and other fruit, eggs your choice, and a special option every day. The attention to detail was exceptional. Every day they helped us find a wonderful restaurant. The rooms were very comfortable." "Wonderful place. Modern, well-appointed rooms. Good parking. Great breakfasts & will order dinner from outside if required. Convenient location with views of Table Mountain. Great personal service from proprietors who couldn't do enough for us." "I absolutely love Four Rosmead! Set on a quiet street in the foothills of Table Mountain, it's close to Kloof Street and only a short taxi ride away from the waterfront. it's very contemporary and features lots of fabulous art on the walls. The staff and food were fantastic here! When booking, ask for a room with a bath as these are amazing!" "Brilliant accommodation, in the best spot of Cape Town. Very welcoming and helpful during our stay. Highly recommend!" "Four Rosmead was in a very good location in the shadow of Table Mountain. The staff were friendly and helpful and breakfasts were really good. The location was ideal for walking to and from some local restaurants and a short taxi drive to some further afield or to the Waterfront. 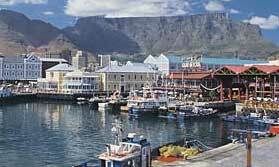 It was also ideal for getting to the Cape and Table Mountain."